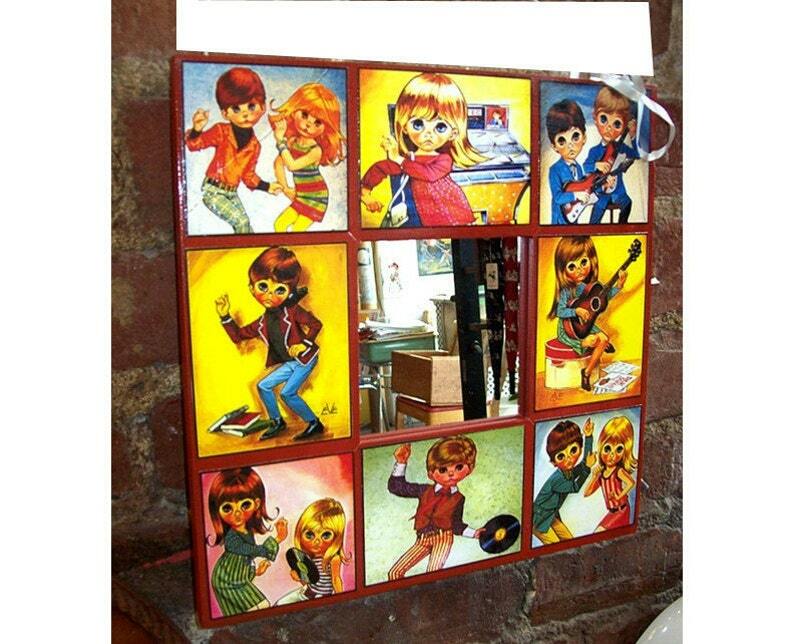 Add a touch of sad eye mod kitsch to your walls with this fab little 10" square wooden mirror and frame covered with retro big eye vintage 1960's era prints. I cover the wooden frame of the mirror with paper images. Then it's a little sealant, a little polyurethane and a little love and the final product is a semi-glossy coat that is easy to wipe clean. The mirror and frame measures 10 " square. I can place these images on most of my other products so if you are looking for a new tissue box, lamp shade or switch plate that you just might be in the right place! retro big eye print 1960s style mod vintage go go dancers eve sad eye kitsch 3.5" X 5"
Shipped very fast - will make a great gift!